This week’s podcast chooses just one of the many thousands of individual stories to emerge from the catastrophe, following the eccentric Italian superstar and the storied hotel through their respective trials and tribulations. One survives… but the other does not. Thanks to Patrick Gorman for this week’s music, “Bella” – provided through a Creative Commons license. I’m hoping you have the time to craft some special podcasts to commemorate the Quake. The exhibit at the Legion of Honor showing photographs taken in 1906 side by side with those of the same vantage in 2003-4 was amazing. 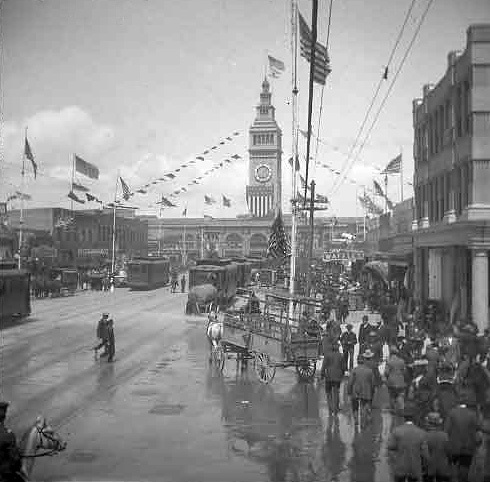 Later this month, I’m taking a special Quake-related walking tour by City Guides from Market Street to Union Square. 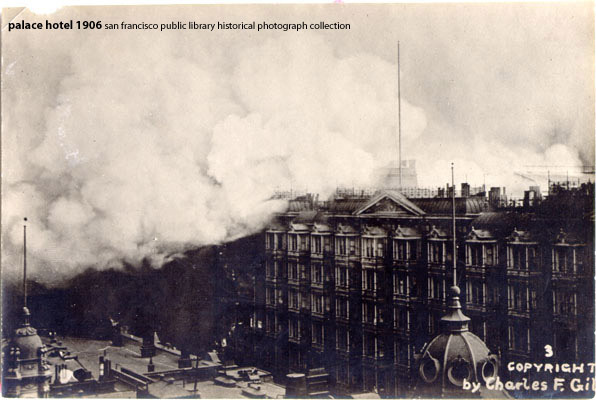 It’s a great time to be interested in San Francisco history! 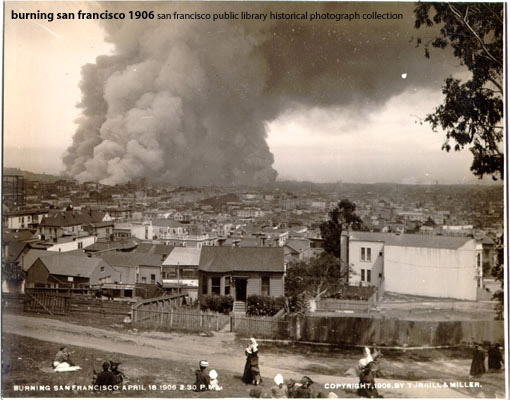 I wish I could be there today, commemorating the centennial of the 1906 earthquake. That concert mentioned at the end of the podcast sounds like something not to be missed. 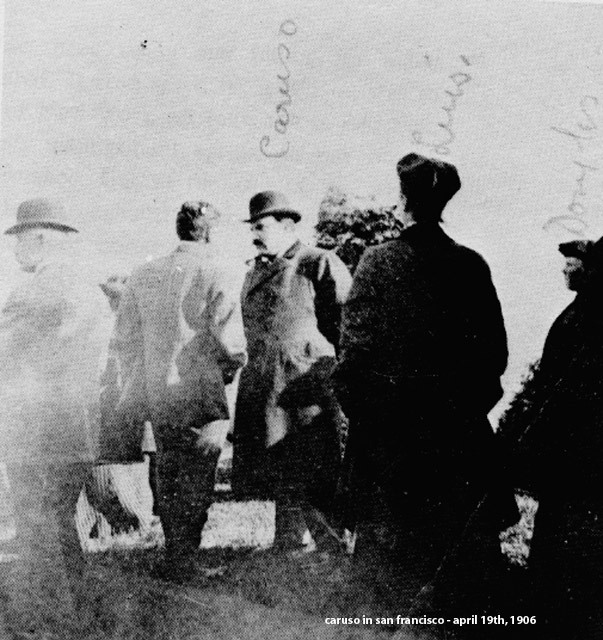 Thanks for another good show- good idea to follow the quake through Caruso’s eyes. Like the previous post, it would be good to hear more stories relating to this event. And more about the Palace Hotel, like you mentioned. Keep up the great work! I’m loving the music, production, information, attitude, research, humor, and the website with extras on each episode is excellent! Your sis one of the best published most polished well-done podcasts out there! oops! thanks for the kind words, and the reminder! 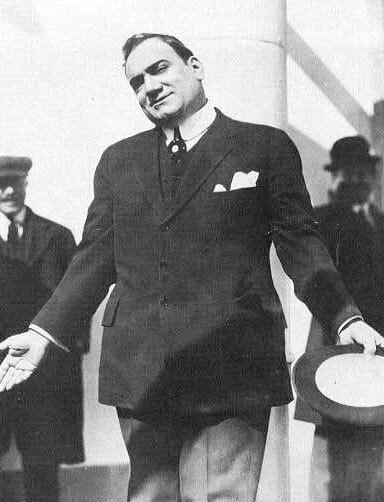 that caruso sketch is now online. Another great podcast, Richard! You do an excellent job of bringing us into the past and showing us around. 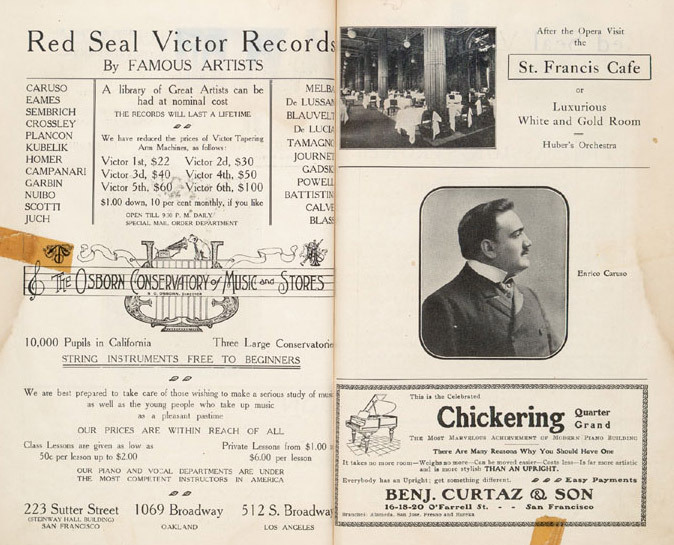 I have mentioned this episode on my newest blog entry, where I shared just a handful of the stories commemorating the Great Quake of 1906. That was simply awesome Richard. I have to agree with kolby and say you do do an excellent job of bringing us into the past. Nicely done. I only recently ran across your excellent web site a few days ago. I am doing research for a novel centered on Lotta Crabtree and the gold rush. Please tell us you are continuing your podcasts because I am enjoying them immensely, although I haven’t found any for 2010. Again, thank you for these exquisite episodes into CA history.